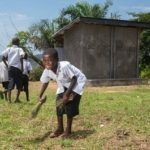 A generation without waste: it’s possible! 5 September 2018 No Comments on A generation without waste: it’s possible! YOUNG REPORTER – As defenders of children’s rights, we must mobilise the entire community and lead by example. Right now, we are not a generation without waste but we can become one by getting everyone involved. 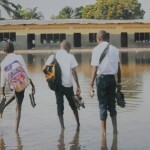 With the rainy season come the floods, which sometime flood schools. The Young Reporters from Kimbanseke tell us how this has kept children from going to school.